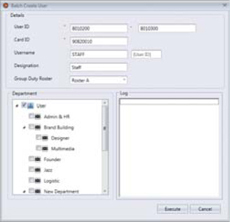 FingerTec Ingress software is an integrated access control management application that runs on the familiar MS Windows operating environment. The software is a complete solution for centralizing, managing, and monitoring door activity in FingerTec access control devices. 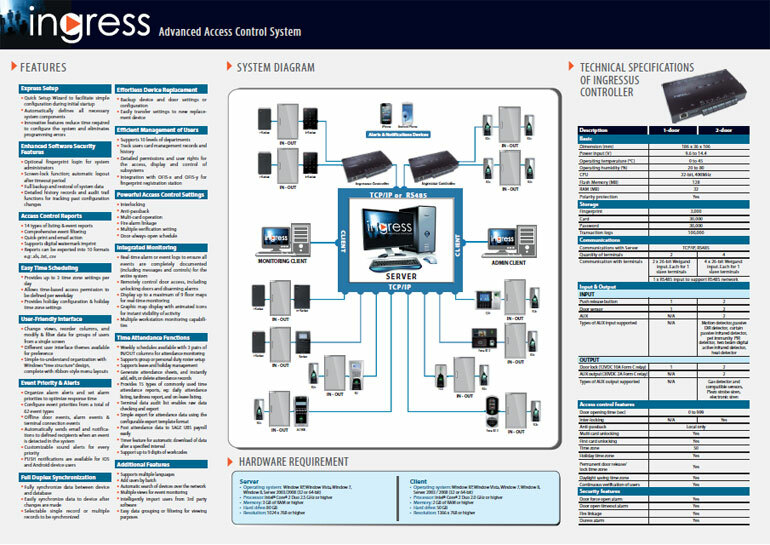 Bundled together with the Ingressus access controller hardware, the Ingress is an advanced, easy to use, and IT-friendly software that provides elaborate access control features such as real-time monitoring, database administration and report management, all in a single unified system. Ideally suited for self-managed organizations of below 100-door environment, Ingress is also capable of seamlessly integrating its access control functions with alarm monitoring and other intrusion detection devices. 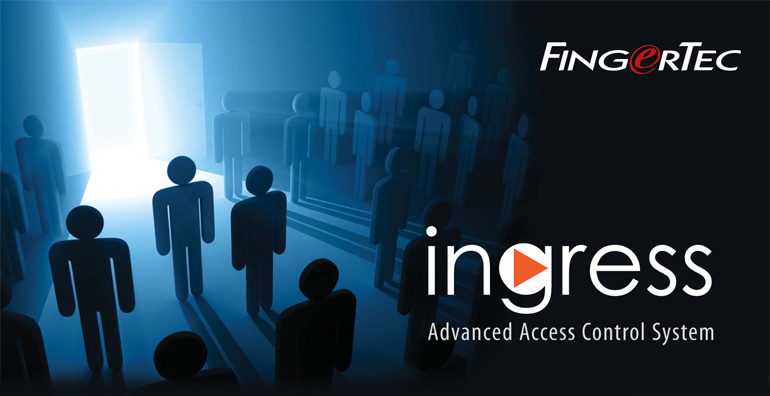 Ingress supports all standalone FingerTec access control models that use card, fingerprint and face recognition verification, and multiple terminals can be centralized in the Ingressus Network Control Panel for multiple-door monitoring. Ingress is a server-client based software that supports surveillance from multiple PCs concurrently, while containing useful access monitoring features such as multi-level users, and user group privileges. The architecture of Ingress keeps data secure and accessible, while providing you with activity logs, audit trails, and advanced device-searching features in a LAN environment. Ingress lets you insert graphical floor maps with configured animated icons for easy and instant tracking of door activity. Useful time attendance features such as weekly schedules, group & personal duty rosters are available, complete with 6 common reports, such as daily attendance listing, and tardiness report. Access control surveillance has never been easier with the real-time alarm and event monitoring features available in Ingress. Prioritize events and alerts to optimize your security actions accordingly. Customize email and sound alerts to get notified when certain door events are triggered. User-friendliness is emphasized in Ingress with features such as the Quick-Setup Wizard, drag-and-drop methods, and shortcut icons with ribbon menus to make interaction with the software effortless. Ingress works perfectly on Microsoft Operating Systems, supporting 32-bit/64-bit Microsoft Windows® 7, Windows® XP and Windows® Server 2003/2008, as well as MySQL. Data centralized in the Ingress can be kept secure with the fully configurable automated database backup and restore facility. Ingress not only centralizes access data, but can analyze and generate 19-types of access reports for your record purposes. Real time access control event, fire alarm and transaction log monitoring. Intuitive graphical maps are completely customizable to let you monitor activities. Control access activities directly from the monitoring station. Operation of the anti-passback is controller-based. In case the host PC fails, the operation is still able to run. Allows the automatic unlocking of emergency fire doors in the event of a fire. Interlock system monitors the state of the doors, and upon request, the unit will release a door only if the other doors are not released. Built-in Quick Setup Wizard for easy initial startup. Provides method to import large amount of users from Excel sheets or pre created card users.  Configurable event priority, recipient email and sound alert. Provides 19 comprehensive combinations of data listing, configuration, activity, audit trail, incident, time and attendance, and event reports. 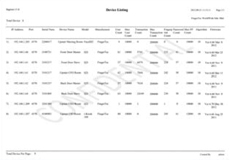 User definable reports, with customizable watermark for background image. Print and save reports into pdf, xlsx, rtf, html, csv, txt formats and more.